New album by the Argentinian melodic power metal band. I have mentioned in another review (for Scelerata) that South America is the new place to go to find bands that excel at playing European influenced melodic power metal. And here we have a band called Helker, from Argentina: Buenos Aries to be exact, and this new CD from them helps to prove my point. Formed in 1998, Helker have three previous albums to their name and they have toured with such acts as Primal Fear, Stratovarius, Masterplan, Sinner and many more. Honing their collective writing and performing skills, Helker have been, over the years, the darlings of the Argentinean underground metal scene and this local and national fame brought them to the attention of those nice people over at AFM. 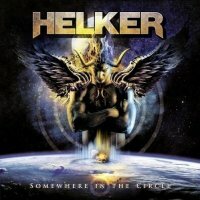 After signing a contract with that label, the band soon set about recording their brand new album, ‘Somewhere In The Circle’, which will soon be available and it will also see Helker’s music reach out to a worldwide audience for the very first time. Now, unsurprisingly, I had not heard Helker’s music before this release, so of course I didn’t know what to expect as I popped the album into the CD player but I’m more than happy to say that what came pouring from my speakers, was an album of amazing power metal songs that could challenge any of the bands mentioned above and, at times, could beat them hands down. The songs on ‘SITC’ have everything this genre needs to make great music, namely powerful riffs, big drums, driven bass lines and a vocal roar from vocalist Diego Valdez that Messers Scheepers, Deris, Kiske et al would be proud to call their own. The best songs I can use to illustrate the great things about Helker are ‘Wake Up’ with it’s huge chorus, ‘Modern Roman Circus’, ‘No Chance To Be Reborn’, the dark ‘Ghost From The Past’, which has another superb guitar solo and chorus, the storming ‘Inside Of Me’ and the hard and heavy ‘Just Be Yourself’ with its colossal tagline. As an introduction to a band, ‘Somewhere In The Circle’ is up there with the best. 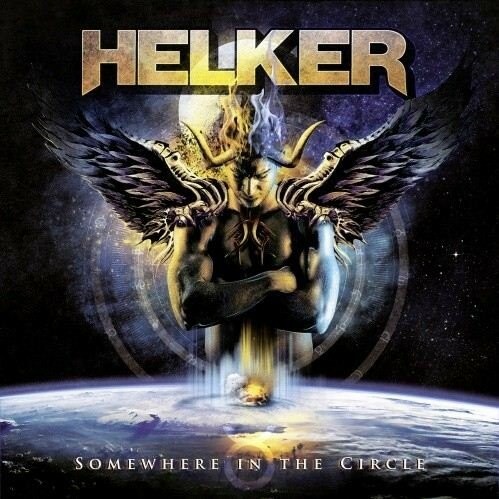 If at any time in your music adoring past, you have owned a bit of over the top melodic metal, then Helker should be just the band to either reignite your interest, or maintain it by joining the ranks of great metal albums you already own.